This house has it all!! 5 bedrooms, 3 full baths, large living area, open kitchen with breakfast bar, formal dining area. Master on first floor with spacious bath, 2 other bedrooms on first floor. 2nd floor has 2 additional bedrooms, small loft area and full bath. There is a 2 car attached garage and off street and parking on side of house(for boat or additional vehicles). Back deck is 10x20 with retractable awning. Home has a Rinnai HWH (additional HWH is in garage but not hooked up), Solar Panels(electric last year was $630), whole house generator, 36" doors, washer/dryer w/sink. Master bath has double sinks and stand up shower (other 2 baths have tubs). There is also a gas fireplace in the living area for those chilly nights. House also has Geothermal heat w/maintenance agreement and maintenance agreement for all appliances in house. There is also a security system. Crawl space has sump pump and French drain. Sellers added a lot of features when they built. 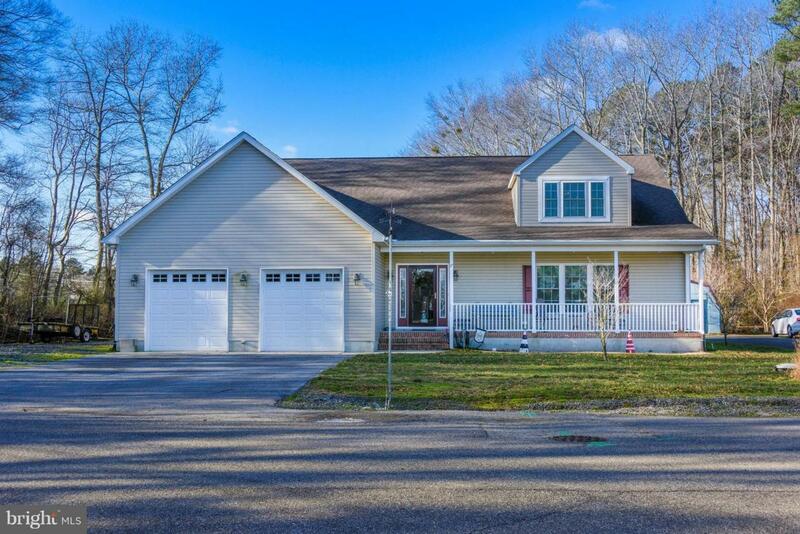 This home is close to Fenwick, Berlin MD and OC. Easy access to 113.